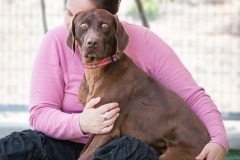 CANELLO, Pointer-Mix, born appr. 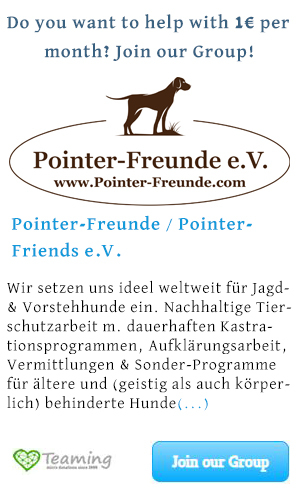 2014 - Pointer-Freunde e.V. CANELLO joined a stray pack appr. 3 years ago and was fed and cared for by animal lovers. 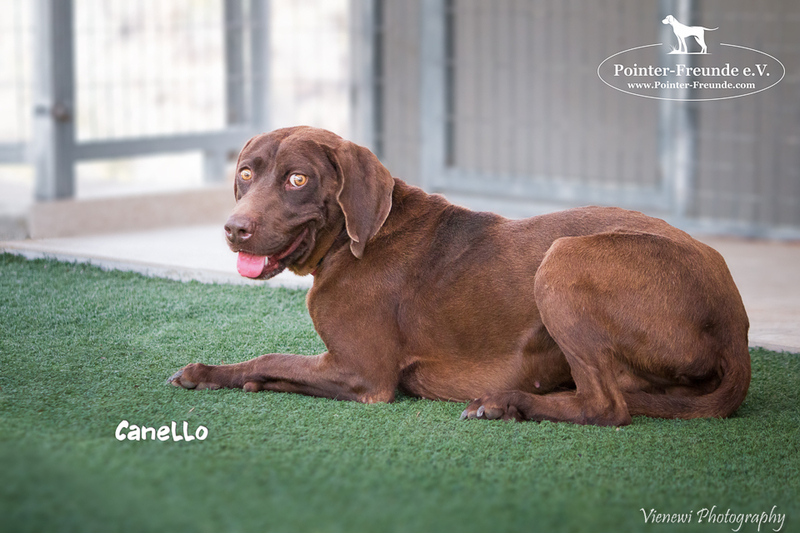 They were living together in a pack of 11+ strays and CANELLO was a bit bully in the beginning. After some time he was the one who was bullied by the others. 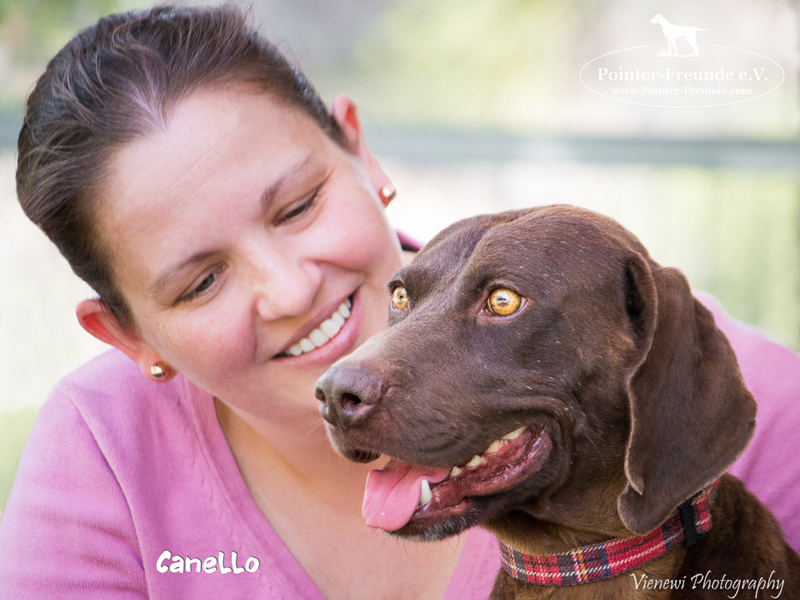 When our charity was asked to take CANELLO under our wings, we did right away, as his eyes were telling stories and we knew that he needed to be out of there asap. 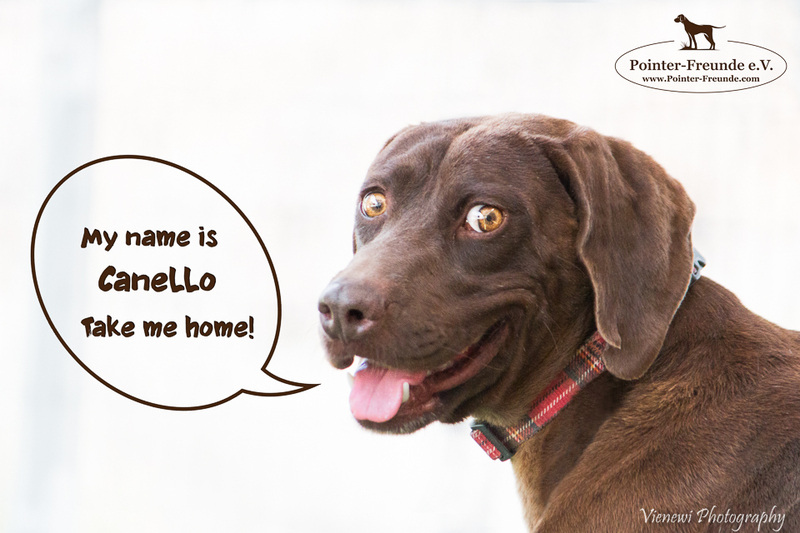 CANELLO is living with a lot of other dogs now in our Rescue Center on Cyprus. 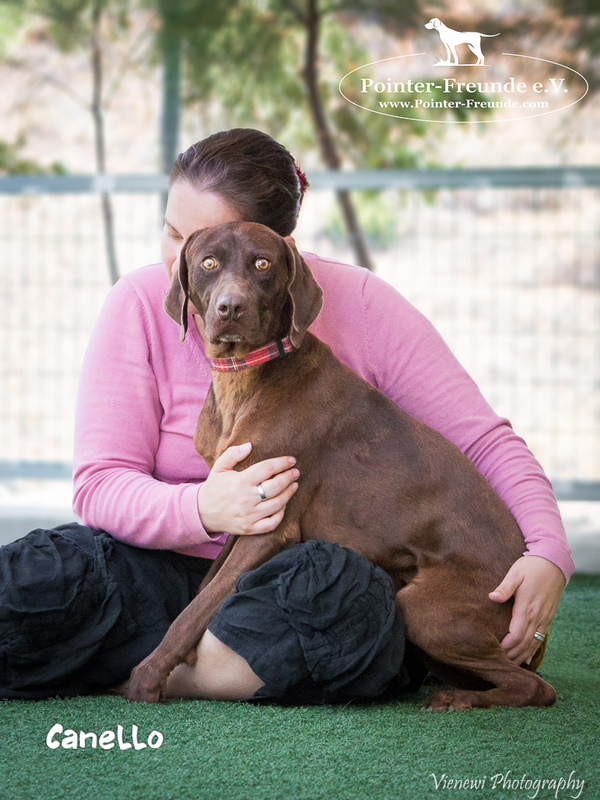 He comes out of his cage, wagging his tail, approaches his dog carer, touching with his nose her hand. He is not approaching by himself. He is ok with females and males. Of course if a dog is dominant, he will react. So CANELLO needs a foster home or already his forever home as soon as possible! He so much deserves this! CANELLO is ready to travel anytime. He has his EU-passport, is chiped, has his vaccinations & rabies. 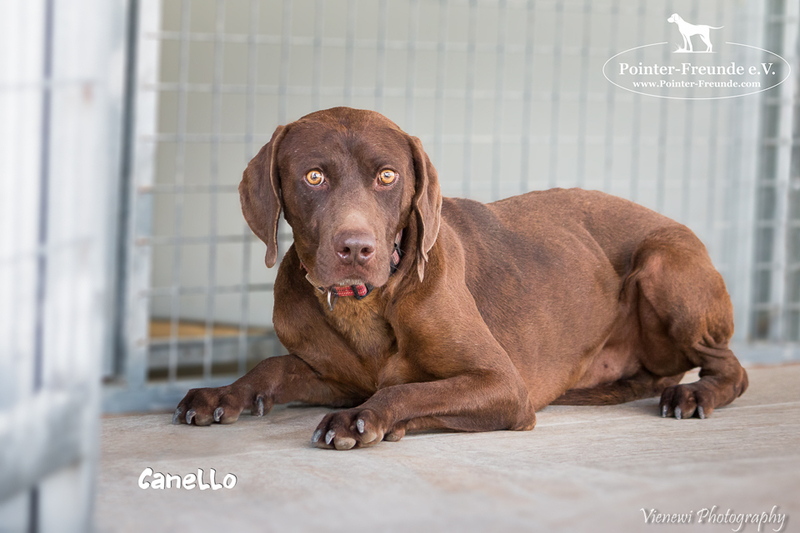 CANELLO will be given through our charity Pointer-Freunde / Pointer-Friends with an adoption contract and an adoption fee incl. travel costs. 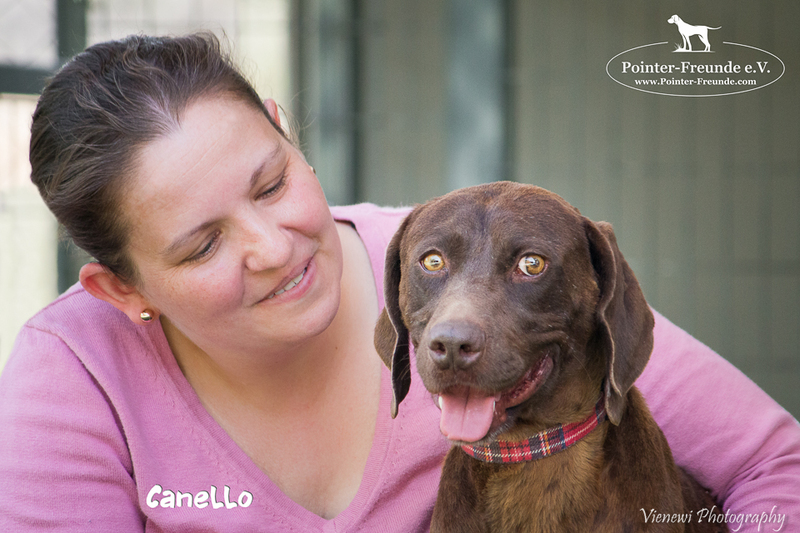 Please contact us, if you have any further questions or the wish to give CANELLO the biggest chance in his life!